WHO WAS ST. MUSA MUKASA? Musa Mukasa was one of the palace pages (Abagalagala). He belonged to a fumbe clan, joined the palace during the reign of King Suna II. He came with his sister who gave birth to King Walugembe Mutesa I. He was a strong, hard working and humble boy during his service in the palace, King Mwanga II trusted him and kept assigning him different tasks in the palace. He was in charge of the King’s shrine, responsible for lighting fi re at a specifi ed time. When King Mwanga II became a Muslim, the shrine became a mosque. At this time it was still Musa Mukasa who was elevated to become a “muazzin” (one who invites Muslims for prayers), the work he did so well and he won favor before the Kabaka. Because of his best performance he was nicknamed “Muzingiti Mwazini” because he spent most of the time in the mosque and on duty. This brave and young man did not fear to report before the king remember he had neglected duty due to the on going mission classes in Nateete. The king was so furious after an unsuccessful mission, through which he had also lost his rifle. At this moment Mukasa wouldn’t appear before the king since he was in wrong. The palace pages (Abagalagala) as the order of the day used to wait for the king whenever he left for missions, this time all of them had left for mission classes. This act annoyed the King, in his voice the King said “Musa Mukasa how can you also leave your responsibility and join the rest of the team?” He was distressed and wretched, to the extent that when he saw him the only option was to kill him on spot. Possibly if he was present, this would have consoled him, because he loved him more than other palace pages (Abagalagala). mission, as if not enough his modern gun had slipped out of his hands between Bulingugwe Island and Munyonyo and disappeared into the deep water this vexed the Kabaka. 1886, as a result of earthquake. these sparked the death of Musa Mukasa. Mengo, an act that annoyed the King when he saw them lifting “Tracts” and other books they had been given while in mission classes at Nateete. He immediately speared Musa Mukasa on spot. King Mwanga ordered to close all the doors and invited everybody to assemble in the palace court yard. The palace youths who had diligently pursued their reading lessons and had began to see the light who were not ready to denounce their faith, were ordered to stand on the right hand of the King, and others who were not for the white man’s religion were also asked to sit on the left. Surprisingly most of the boys stood on the right hand, which again annoyed King Mwanga and fi nally insisted to take them to Namugongo for execution, the journey to 3rd June 1886, climax then started. 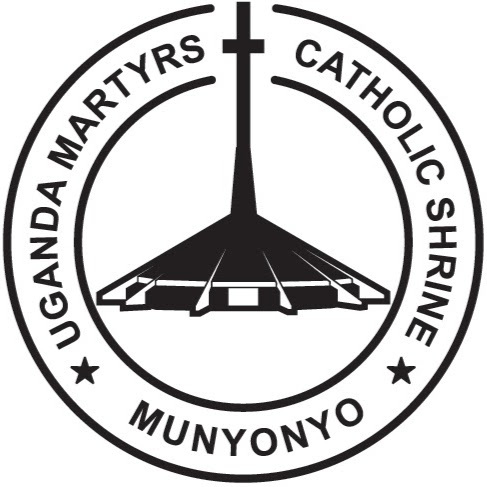 A group of 24 Anglican Martyrs and 22 Catholics left for Namugongo to be killed with a belief that all the troubles which were being experienced in Buganda, were a result of ancestral spirits’ anguish of the on going activities of the white man’s religion.